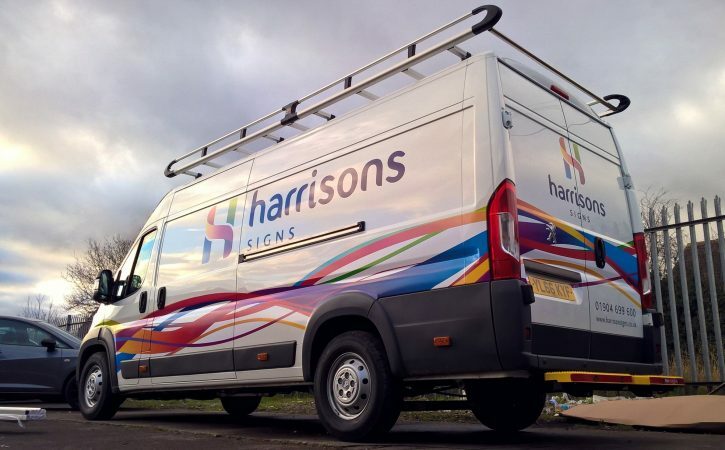 Harrisons Signs has been a leading sign maker in Yorkshire since 1909, offering high-quality sign design and manufacturing services. 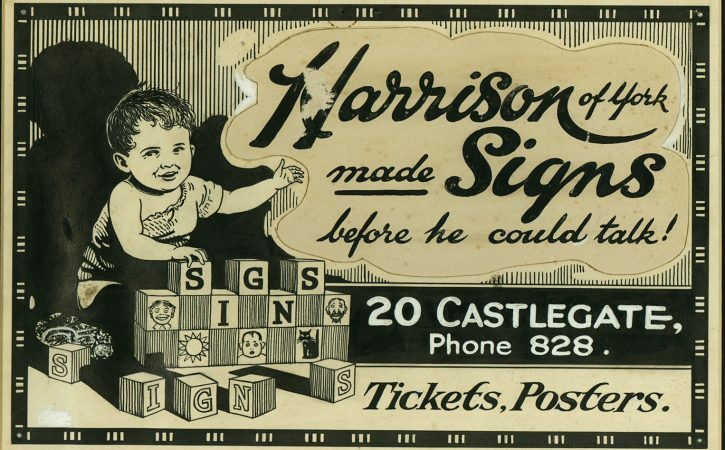 In 1909 Charles Harrison founded a one-man signage painting business in the city of York. 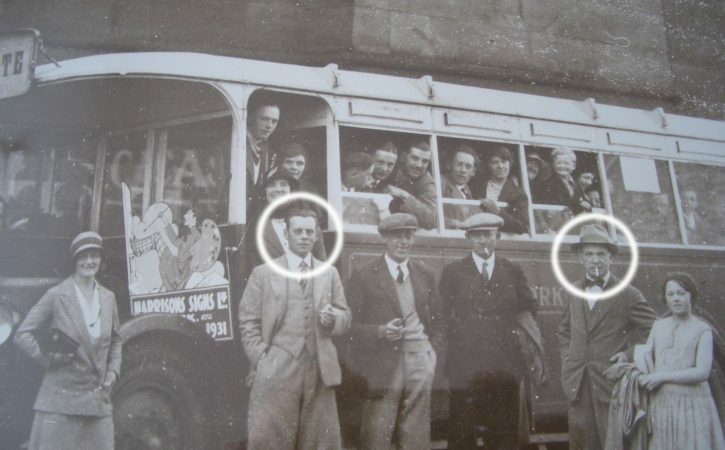 The Company was incorporated as Harrisons Signs Ltd in 1928 as Alfred Hunter, a second-generation professional ticket writer from Brighton, joined Charles in the business. 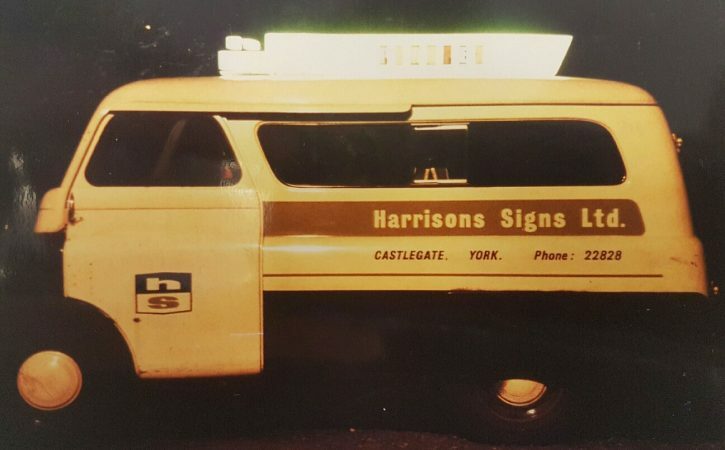 Harrisons Signs is into its fourth generation of family sign makers in Yorkshire. 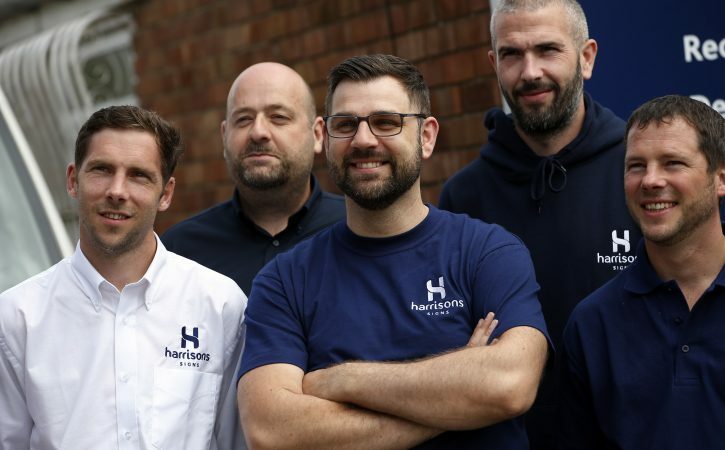 With more than a century of expertise handed down through the generations, we pride ourselves on the knowledge, craftsmanship and sign manufacturing expertise that our Yorkshire team brings to customers across the UK. 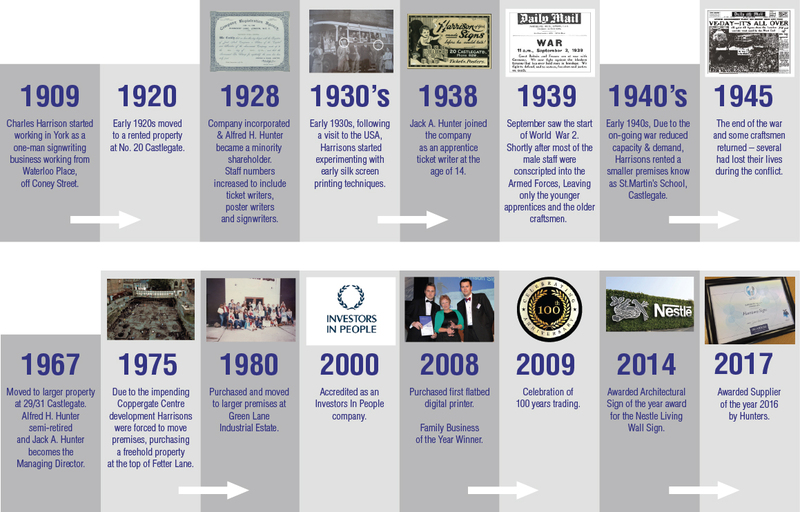 Since 1909, we have supplied just about every possible type of sign. 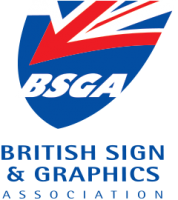 Our experienced sign manufacturing team can advise you on the best signage solution for your specific requirements, whether you need a simple off-the-shelf office door sign or a custom-made, large-scale architectural sign.